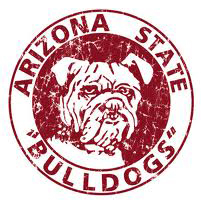 If you went to an Arizona State game (now ASU) in the 20s, 30s, or 40s, you probably remember shouting, "Go Bulldogs!" 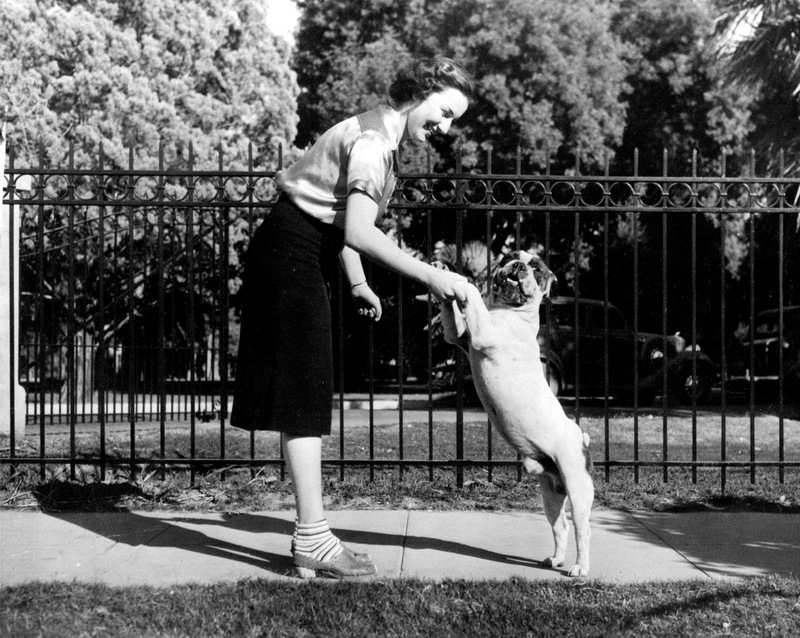 You would, of course, have known about Pete the Bulldog. And you may have been a bit resentful when, in 1946, the school changed to the Sun Devils. But memories are short. Very few people nowadays have ever heard of the Bulldogs, even people who bleed Maroon and Gold. But it really was a step in the right direction, and if you know the history of Arizona State University, you know why. The original name of the school, which was founded in 1885, was the Tempe Normal School. A Normal School was the old-fashioned name for a teacher's college, that taught teaching "norms". So the teams were called the Normals, and sometimes the Teachers. And I suppose people shouted, "Go Normals!" or "Go Teachers! ", but really, a team needs something with a little more spirit, wouldn't you say? 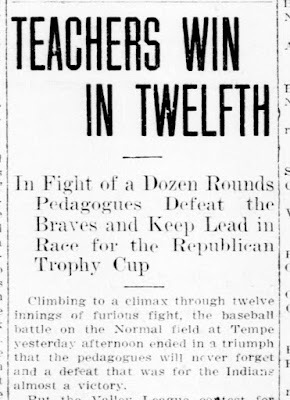 The Tempe Normal School started calling itself the Bulldogs in 1922, even though the name of the school didn't change until 1925. But they needed something, as the name of the school changed to the Arizona State Teacher's College. I guess they could have gone on calling themselves the Teachers, but, well, would you? The name changed in 1946 to the Sun Devils, which was suggested by the Sun Angels, and was overwhelming approved by the student body. And as great as it must have been to shout, "Go Bulldogs! ", personally I prefer, "Go Devils!" Sorry, Pete.